Hikvision 32-channel “DeepinMind” NVR. 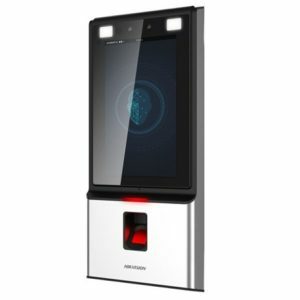 Powerful face pictures library management; Face pictures comparison and alarm linkage actions; Search by picture supported; More precise face recognition and analytics based on deep learning algorithm; Up to 16-channel decoding at 1080p resolution; HDMI output at up to 4K resolution; Supports H.265+ decoding format; HDD hot swapping with RAID 0/1/5/6/10. Hikvision 32-channel high-end NVR with PoE. 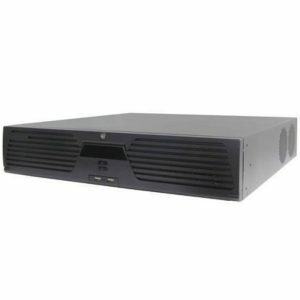 1xCVBS, dual HDMI, and 1x VGA output at up to 12MP & 1920x1080P resolution; 300m 16x Independent extended PoE network interfaces; HDD quota and group management, 4 SATA HDD (up to 8TB); 1x Two-way audio, Alarm I/O: 16/4. 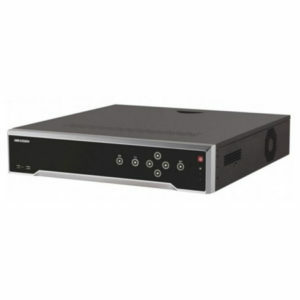 Hikvision 32-channel embedded NVR. 1xCVBS, dual HDMI, and 1x VGA output at up to 1920x1080P resolution; HDD quota and group management, 4 SATA HDD (up to 8TB); 1x Two-way audio, Alarm I/O: 16/4. 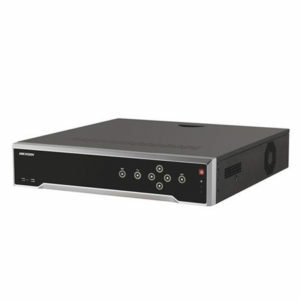 Hikvision 16-channel embedded NVR with PoE. 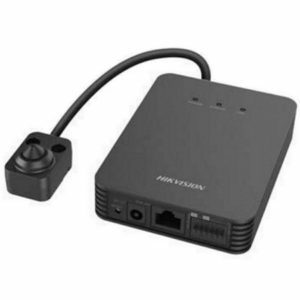 16 Independent PoE network interfaces; Dual HDMI output; Single VGA output at up to 1920×1080P resolution; 1 CVBS output; Bandwidth: in/out: 160/256 Mbps; 4 SATA HDD (up to 8TB); Two-way audio: 1-Channel; Alarm I/O: 16/4. 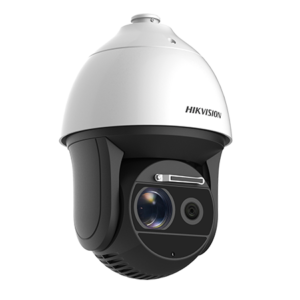 Hikvision 2-MP VF dome network camera. 1/1.8” Progressive Scan CMOS; 1920×1080 @ 30fps; 2.8 to 12 mm motor-driven lens; Colour: 0.002 Lux @ (F1.2, AGC ON); H.265, H.265+, H.264, H.264+; 140 dB WDR; IR range: 30m; Alarm I/O, Audio I/O, RS-485; Built-in micro SD card slot; IK10. Thermal & optical bi-spectrum network speed dome. Smart tracking; Powerful behaviour analysis algorithm; Advanced fire detection algorithm. Thermal Module: Lens: 25mm OR 50mm; 384×288 resolution; 3D DNR. Optical camera: x36 PTZ; IR up to 200m; WDR; ICR: Defog; 24V AC, 60W. 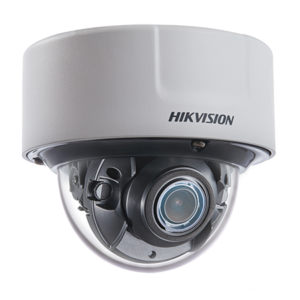 Hikvision 2-MP block-shaped lens network covert camera. 1/2.8” Progressive scan CMOS; 1920×1080 @ 30fps; Three streams; 120dB WDR; 3D DNR; 4 behaviour analyses; Audio and alarm I/O; Smart encoding: low bit rate, low latency; ROI.